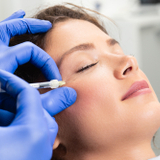 Aiming to cater for aesthetic practitioners who cannot make the IMCAS congresses or who want to re-watch a lecture, the digital tool provides videos on the latest techniques related to the most popular treatments such as injectables, lasers and light, body shaping, threads and vulvovaginal rejuvenation. Topics also cover cosmeceuticals, nutraceuticals, regenerative medicine and plastic surgery, as well as business advice on digital communication and practice management. In addition, a monthly live webinar aims gives practitioners from around the world the chance to interact directly with the speakers. According to IMCAS, the engagement at its webinars demonstrated that practitioners were hungry for a quick and easy way to communicate amongst themselves and with experts. For this purpose, IMCAS has created IMCAS Alert. This tool, included within IMCAS Academy, is now mobile-friendly and open to all physician subscribers for free. An IMCAS spokesperson explains that through Alert, practitioners can share their complex cases and complications anonymously, illustrated by photos, and get advice and feedback from experts within 24 hours. 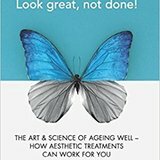 Since it began, over 100 challenging cases have been submitted, exploring complications such as ‘skin reaction to non-invasive radiofrequency’ and ‘swelling after threads’, and questions like ‘advice on treating keloid with laser’ and ‘filler approach for immunosuppressed patients’ have been answered. Practitioners can find out more by visiting the IMCAS Academy website.